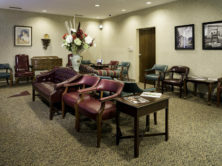 8,600sf renovation to sixty-one rooms in existing women’s center. Renovations included striping wall coverings/flooring and removing existing light fixtures. 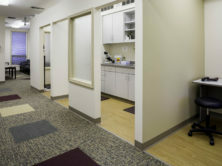 Installed vinyl flooring in sixteen (16) exam rooms, changing rooms, bathrooms and triage area, carpet in Dr. Offices, lobby, reception area and main corridors. New paint on all walls, ceilings, existing trim and refinished doors. Installed new light fixtures throughout and new casework in procedure rooms.